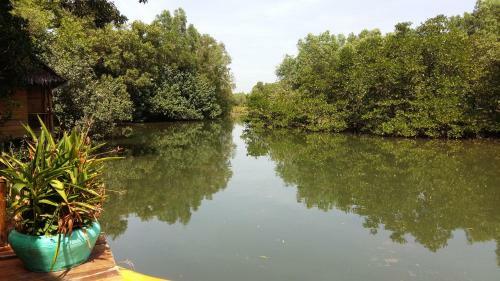 Mangroves & More @ Cambodia in Sihanoukville is a lodge with 4 Rooms. 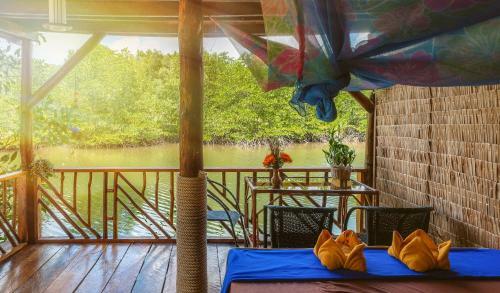 Mangroves & More @ Cambodia offers standalone bungalows with garden or river views and free WiFi. 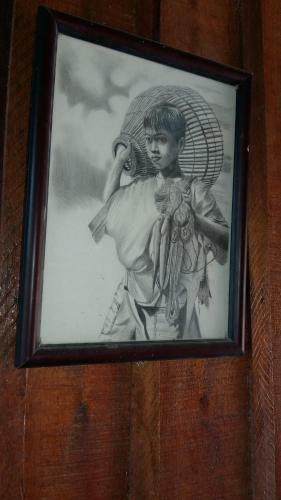 Meals are served at a restaurant while a 24-hour front desk is available. 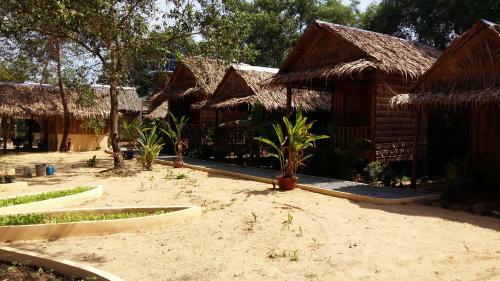 Located in Phumĭ Ta Ŏng, the lodge is 1 km from Otres Beach 1 and Otres Beach 2. 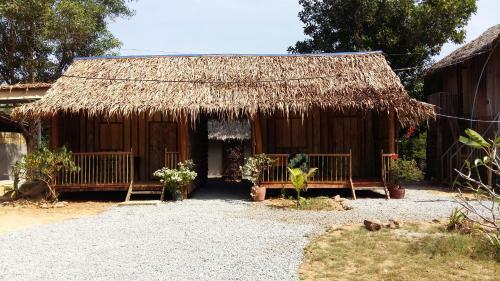 Sihanoukville International Airport is 9 km away. 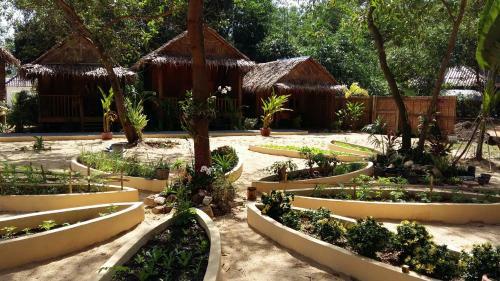 Each bungalow is fan-cooled and has a patio, private entrance, seating area and outdoor dining area. 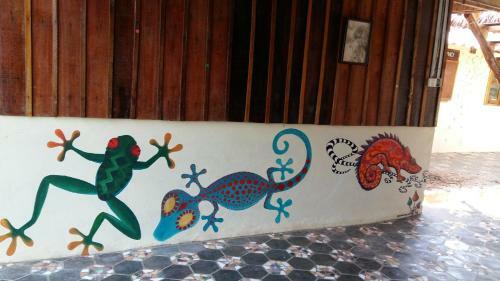 Guests have access to a shared bathroom and shared toilet. Towels and linen are provided. Facili...ties available include a tour desk, ticket service and luggage storage. Laundry services and daily housekeeping services are available. 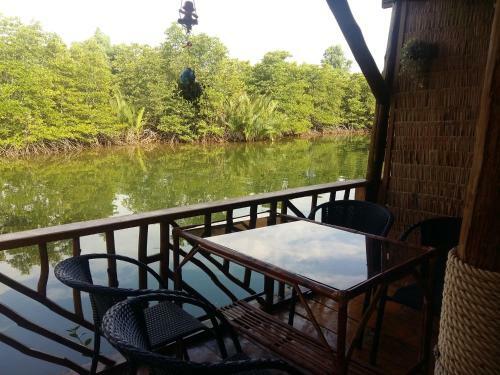 Guests can enjoy a drink at the bar, which overlooks a mangrove. 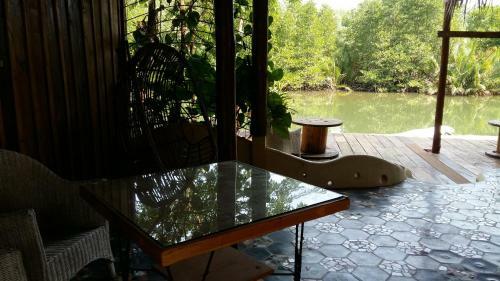 Mangroves & More @ Cambodia offers standalone bungalows with garden or river views and free WiFi. 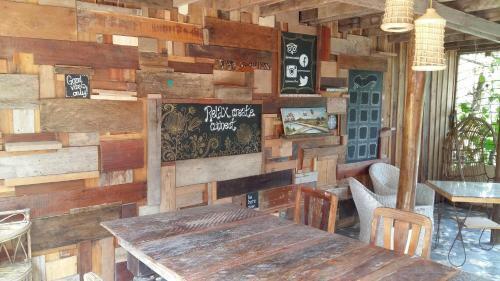 Meals are served at a restaurant while a 24-hour fro...nt desk is available. 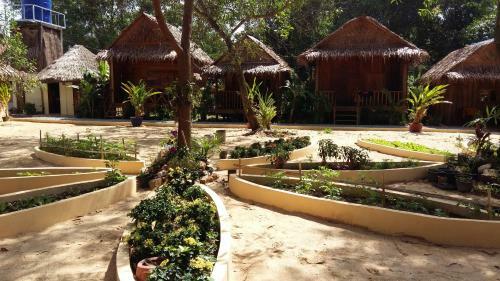 Located in Phumĭ Ta Ŏng, the lodge is 1 km from Otres Beach 1 and Otres Beach 2. 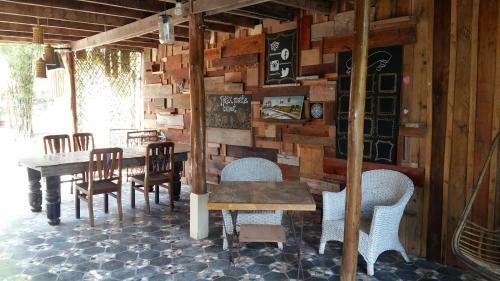 Sihanoukville International Airport is 9 km away. 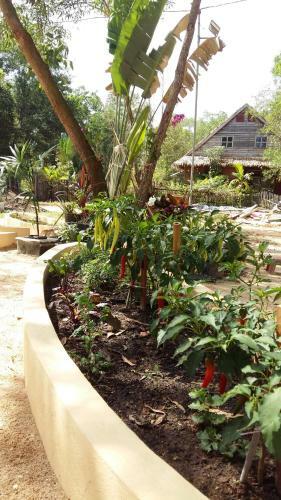 Each bungalow is fan-cooled and has a patio, private entrance, seating area and outdoor dining area. 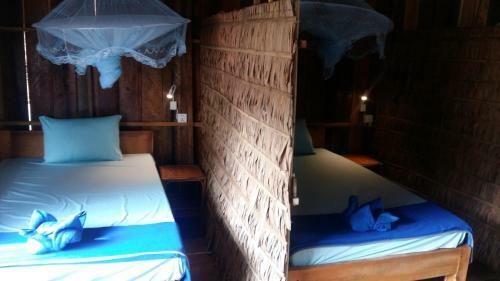 Guests have access to a shared bathroom and shared toilet. Towels and linen are provided. Facilities available include a tour desk, ticket service and luggage storage. Laundry services and daily housekeeping services are available. 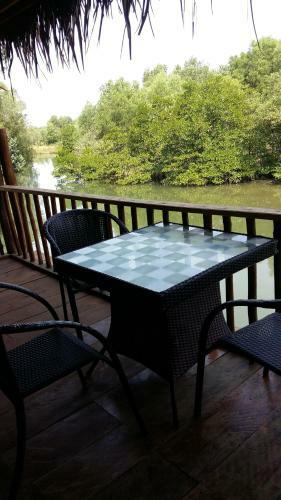 Guests can enjoy a drink at the bar, which overlooks a mangrove. 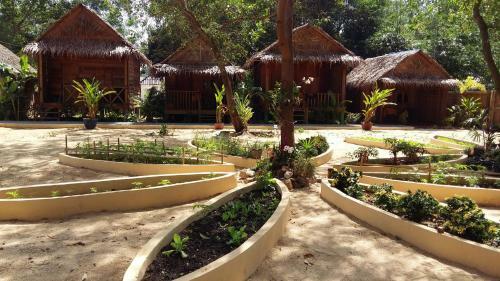 When would you like to stay at Mangroves & More @ Cambodia? 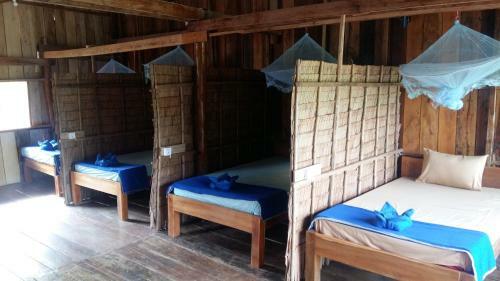 Children and extra beds One child under 12 years is charged USD 5 per night when using existing beds. There is no capacity for extra beds in the room. Supplements are not calculated automatically in the total costs and will have to be paid for separately when checking out. 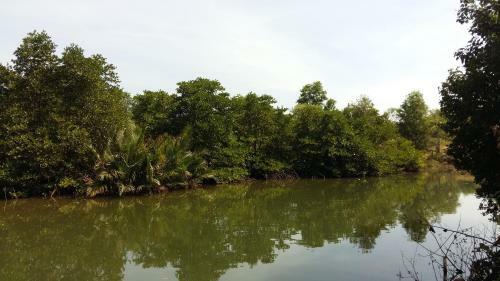 Please inform Mangroves & More @ Cambodia in advance of your expected arrival time. You can use the Special Requests box when booking, or contact the property directly with the contact details provided in your confirmation. This property will not accommodate hen, stag or similar parties.